The patented LINDBERG Eyewear line is extremely resilient and flexible, comprehensive and in many ways subtle. Starting at 1.9 grams, they are the lightest frames in the world. With LINDBERG it is possible to compose an entirely personal frame by choosing between countless models, colors and sizes- imagination is the only limit. At Silmo, the international trade fair for eyewear held in Paris, LINDBERG has been awarded Gold Trophy for the best frame numerous times. LINDBERG eyewear tells the world you subscribe to a different way of thinking, and have connoisseur’s appreciation of exceptional design and high-quality materials. Every frame is a statement about aesthetics, technical innovation and impeccable craftsmanship. Patented LINDBERG technical innovations, along with carefully engineered and crafted details, have revolutionised modern eyewear. We have done away with everything that is not essential – including all screws, rivets and welds. This means LINDBERG frames are incredibly strong and flexible – yet among the lightest and most comfortable in the world. We make each LINDBERG frame to order, combining unique materials, production technologies that we have developed ourselves, and the best of individual craftsmanship. Each frame is customised to your particular preferences, hand-finished and individually numbered. 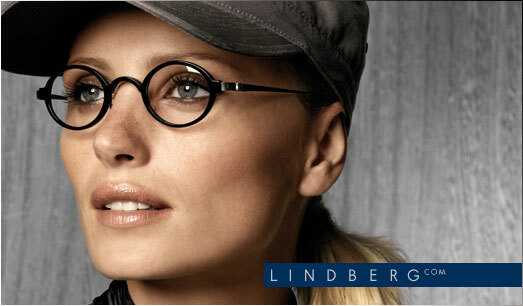 Innervision Eyewear offers the finest exclusive eyewear in the world, now features Lindberg Eyeglasses. With its premier location in Philadelphia's Rittenhouse Square and now a second location in South Philadelphia, Innervision has the best collection on-hand for the Lindberg line. Exclusive eyewear brands have brought people to the Innervision store for years and people have come to trust that they're provided the world's finest eyewear. Lindberg is an essential piece of the Fine Eyewear Collection Innervision has maintained in the Philadelphia area for years.